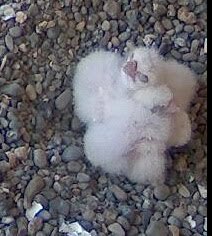 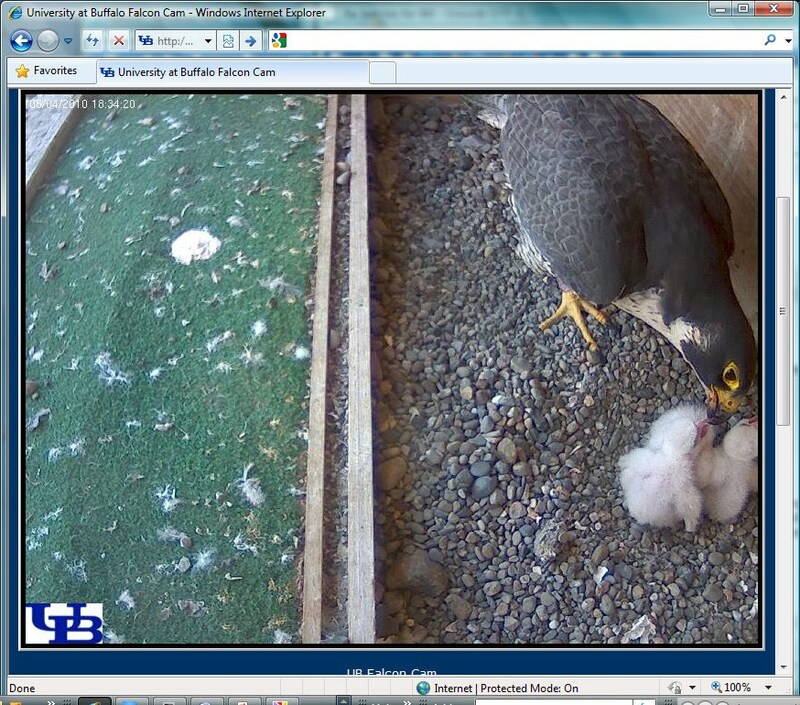 Meet Buffalo's three new Peregrine babies, all hatched between 3am and 3pm! 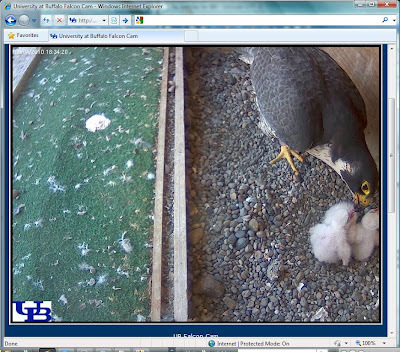 Here's a web album of the new eyasses getting fed today. 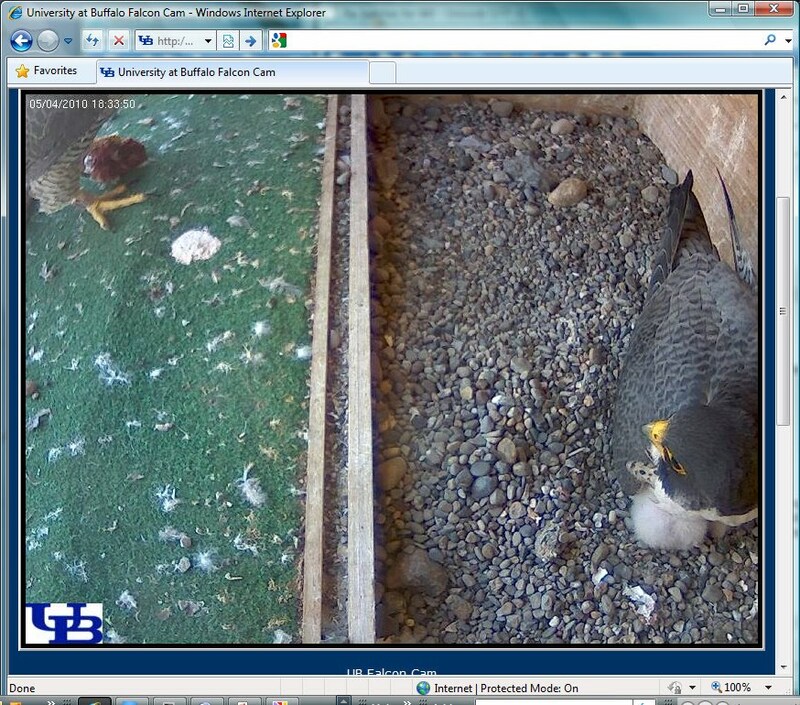 You can choose to watch it as a slideshow. "Hi there! 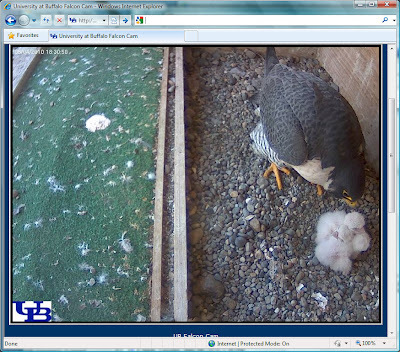 I've been waiting for you!" 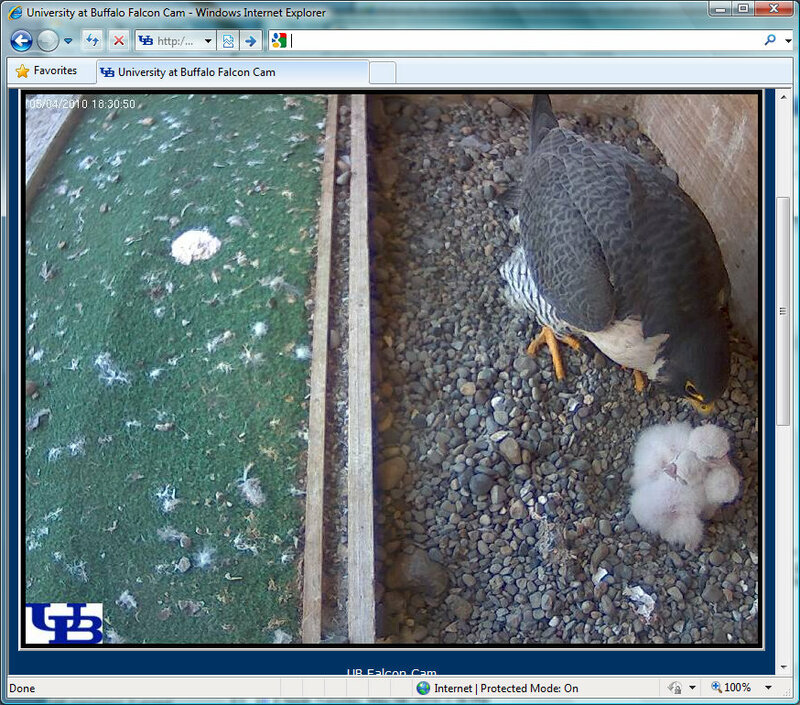 Hatching has also begun at the Statler Towers!